The Wonderful experience of becoming a parent can be difficult to describe. A new life is suddenly placed in your arms, so completely dependent on you for nurture, warmth, protection and love. It is normal to sometimes feel overwhelmed by the responsibility and, at times, you may wonder about your ability to cope with all the changes to your life and routine. As parents, you’ll probably discover pretty quickly that you can’t take on this responsibility without help. We all need people around us who will support, listen and at some times help us to share the load. But in the middle of all this, it is also common to discover that your faith is reawakened. 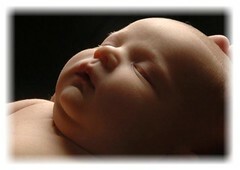 The birth of a child is as much a spiritual experience as it is a physical and emotional one. All parents want the very best for their new child and it is quite natural to want God to be part of this. So how do you celebrate and express this spiritual connection and desire for your child to be blessed? Basically, baptism is a ritual for joining God’s family, the Church, which is seen as the beginning of a new life in God. Special prayers are said and the Minister pours water over the child’s head three times. In the service of baptism, you, as parents, are asked to make promises to teach your child about the Christian faith and to bring up your child within the life of the Church. The Church ­family also makes promises to support you in that task by providing for the Christian nurture of your children, as well as encouraging, praying for and supporting you. For these reasons, the celebration of Baptism always occurs within a normal service of worship. So, if you have not already done so, we invite you to attend a worship service which will give you a better idea of how we do things. This is a different way of celebrating God’s blessing of your child. We believe that God is intimately involved in every part of our lives and it is good to both celebrate and ask for God’s blessing. This service is a wonderful way of celebrating the start of your spiritual journey with God, without having to make any specific promises about your participation in the life of the Church. By choosing this option, you give your child the opportunity to be baptised when s/he is older and able to make that step of faith for him/herself. This celebration of Thanksgiving & Blessing can occur within a service of worship, or you may choose for this to take place at your home, surrounded by family and friends. we would like to explain what is involved in both these options and to give you the opportunity to ask any questions that you may have. Have a think about it. Talk it over with your partner or someone close and then give the Minister a call to talk further with you and choose a date.